See more information and photos of Gaurav. See more information and photos of See Sri Lanka Tours. See more information and photos of Sri Lanka Private Guides - Henry Lionel. Tipping is totally depend on the service that you received from your driver. You have the choice to decide on how much you tip for your driver. There’s no hard and fast rule for tipping. If you receive an excellent service then you deserve a good tip. 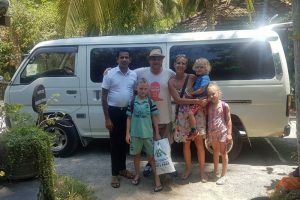 See more information and photos of Green Lanka Vacations.